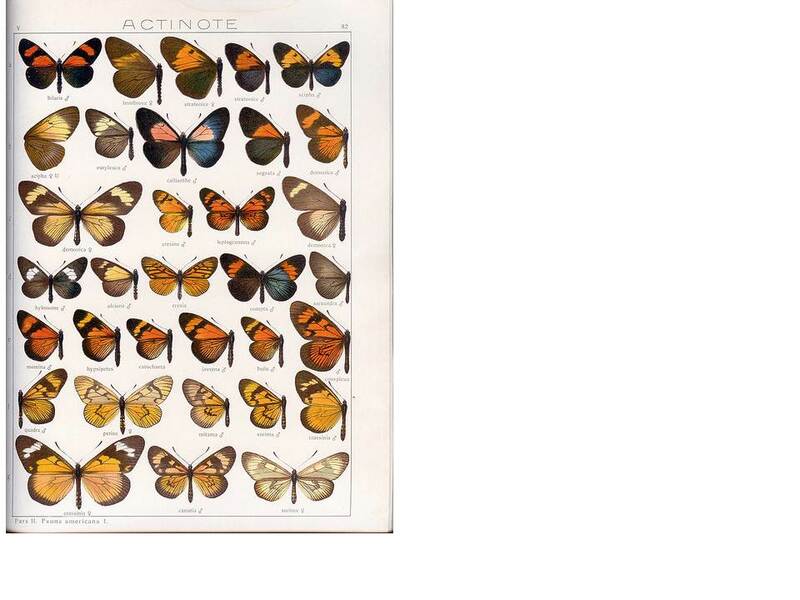 Butterfly mimicry rings – a case of natural selection? | Non-darwinian views on evolution. Visual mimicry is a textbook case of natural selection because it is both intuitively understandable and has repeatedly evolved in a range of organisms: it is the ultimate example of parallel evolution. 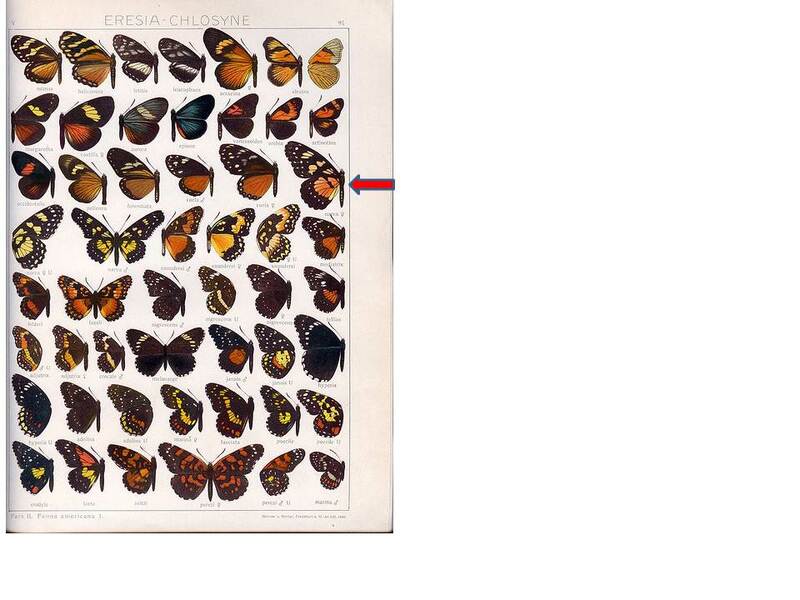 In many mimetic groups, particularly butterflies, a huge variety of colour patterns has arisen, even in closely related species. Figs. 1-4 represent a Mimicry-ring from Eastern Brazil composed of four immune species belonging to three different sub-families and four different genera. Fig. 1. Lycorea halia (Danainae). Fig. 2. Heliconius narcaea (eucrate) (Heliconinae). Fig. 3. Melinaea ethra (Ithomiinae). Fig. 4. Mechanitis lysimnia (Ithomiinae). Figs. 5, 6. Perrhybris pyrrha, male and female, S. American “Whites” (Pierinae). The female mimics immune Ithomiines, while the male shows only an indication of the mimetic colouring on the under surface. Figs. 7, 8. 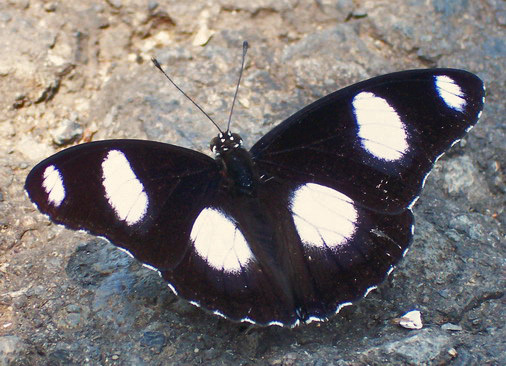 Dismorphia astynome, male and female, also belonging to the family of S. American “whites,” and mimicking immune Ithomiines; a white patch on the posterior wing of the male and another on the corresponding surface of the under side of the upper wing, remain as traces of the original “white” coloration. Fig. 9. Elymnias phegea, W. Africa, of the sub-family of Satyrines, mimics the succeeding species (Fig. 10). Fig. 10. Planema epaea (gea), an immune West African species belonging to the Acraeinae. Fig. 11. Danaida genutia, an immune Danaid from India, Burmah, etc. Fig. 12. Elymnias undularis, female, one of the mimics of Fig. 11. 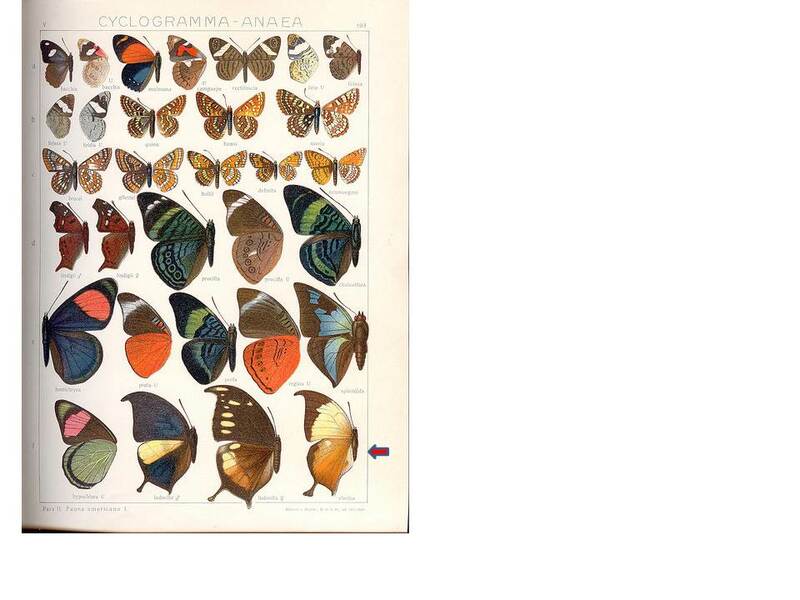 The picture might be of interest, because it was used also by entomologist Franz Heikertinger, a strong critic of Darwinistic natural selection. 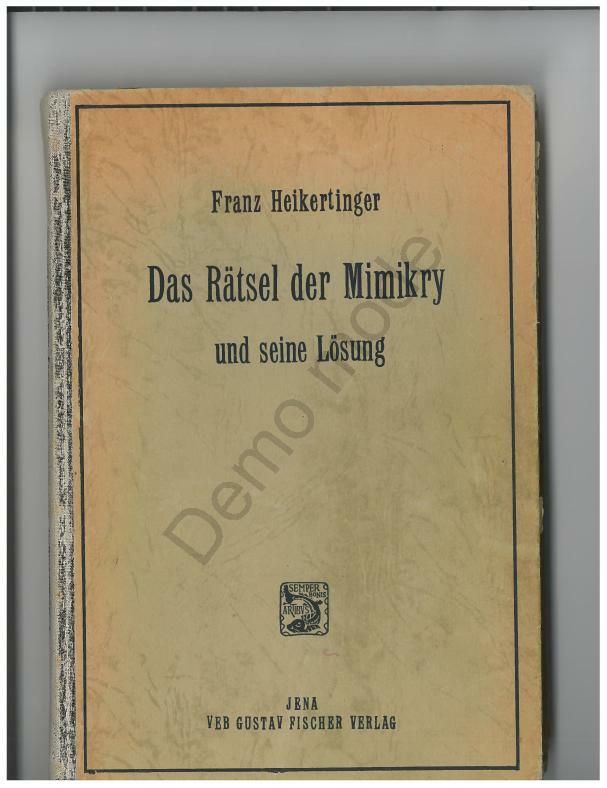 It can be found in his book “Das Rätsel der Mimikry und seine Lösung: eine kritische Darstellung des Werdens, des Wesens und der Widerlegung der Tiertrachthypothesen.” (1954). 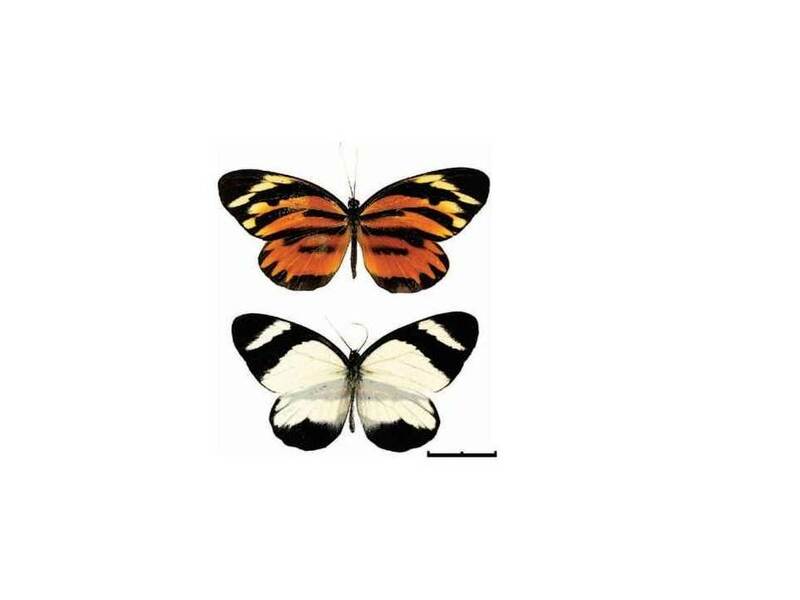 So called “female limited mimicry” – dimorphic female (top) and male (bottom) of Perrhybris pyrrha. Franz Heikertinger strongly criticized those who saw natural selection as the cause of the similarity in the mimicry ring. He named natural selection as “die Hypothese” and the proponents of such a view as “Hypothetiker”. According to his opinion several questions must be answered before natural selection can be accepted as a plausible explanation of the phenomenon. 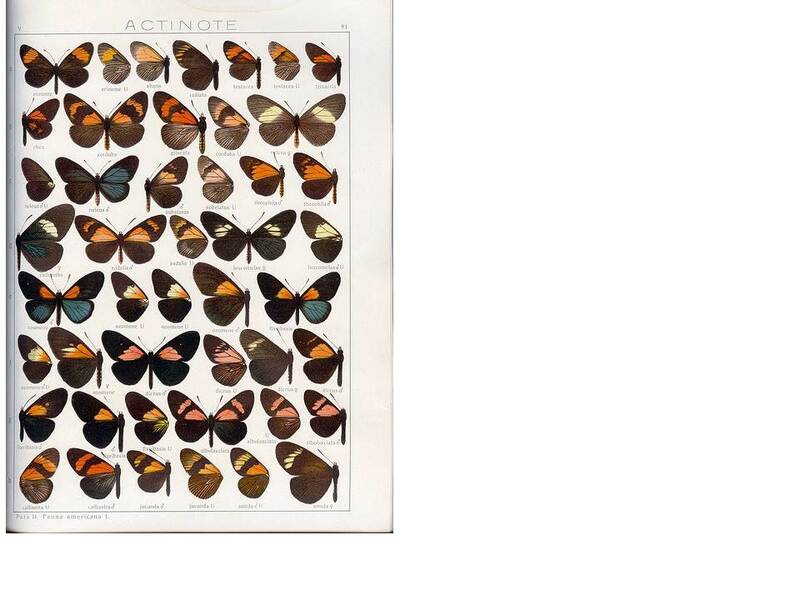 1) What are butterflies vision-oriented predators that select them? Do they exist? 2) Are unpalatable insects rejected by predators? 3) Are those rings maintained by natural selection or is the similarity between the species just a consequence of their relatedness? 4) Is such a coloration something that is beyond natural variation of the species? Heliconius(especially the erato taxonomic group) are renowned for roosting gregariously; and co-mimics roost gregariously with each other more often than with non-mimics. Gregarious roosting is therefore common between species, as well as within species.The paradoxical correlation between nocturnal roosting and visual mimicry is presumably explained by bird predation at dusk when roosts are forming, or at dawn before they have disbanded. Direct evidence of predation is lacking, but there are high rates of disturbance by birds at these times. According to Edward Poulton the selective agent here are some unspecified migratory birds. Even Komárek (2003) named such an explanation something between a folk tale and “positive science”. 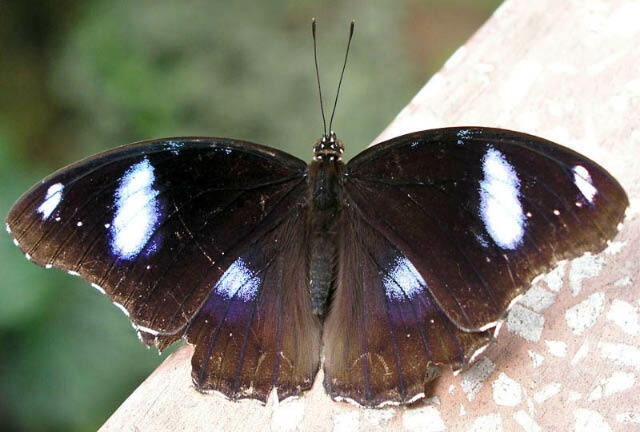 The species in the tiger mimicry ring belong predominantly to family Nymphalidae (and especially to subgroup Ithomiinae). Two exceptions have been already mentioned: Dismorphia astymone and Perrhybris Pyrrha (species with non-mimetic males). Dismorhiinae is subgroup of family Pieridae (“Whites”). Yet Heikertinger refutes such a categorization. In his view categorization based on tarsal claws and numbers of segments on butterfly forelimbs might be misleading. 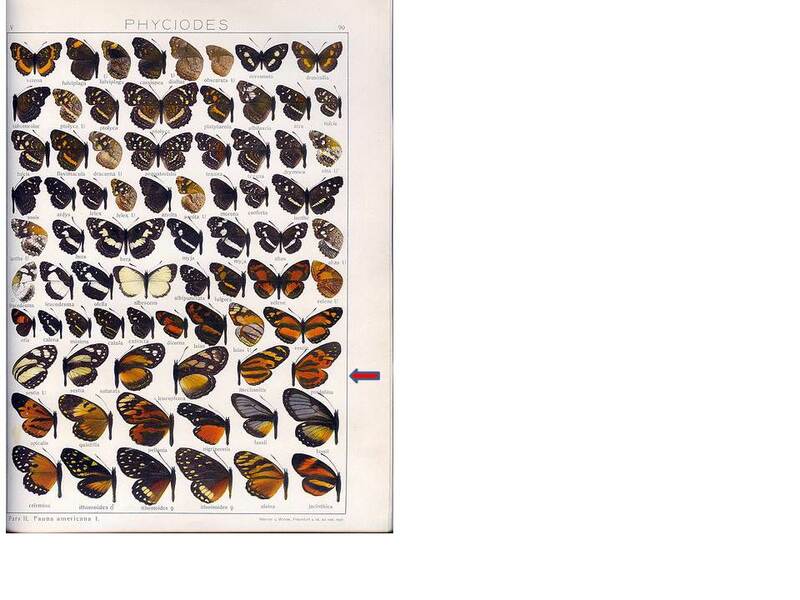 He noticed that we often observe reduced number of segments in butterfly males (as a consequence of Eimer’s Orthogenesis. Theodor Eimer claimed that males are more “developed” than females, which tends to retain original features of the species). Such a categorization would lead to two different groups with males and females separated. 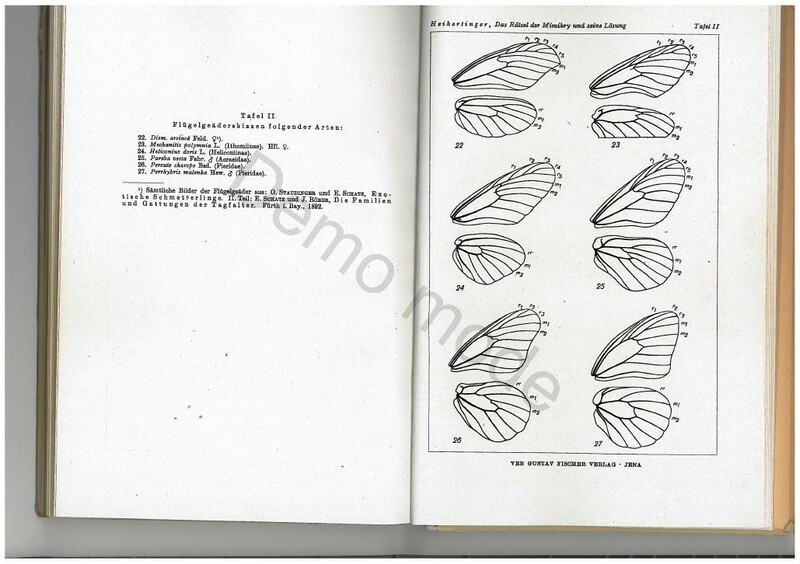 Heikertinger compared venation on wings and concluded that according this feature Dismorhiinae are more related to Nymphalidae (the base of the mimicry ring) than to Pieridae. In the first row is the similarity between veins of 22.Dismorphia arsinoe and 23.Mechanitis polymnia (Ihtomiinae). The last row are veins of Perrhybris malenka (Pieridae). In the case of Perrhybris Pyrrha Heikertinger quoted Eimer, Piepers, Dixey and Van Bemmelen that the ancestor of the species was not white (as it might be commonly believed), but varicolored. Consequently the supposed transition of P.pyrrha into varicolored mimic somehow loses its mysteriousness. On the other hand there isn’t any pattern on P. Pyrrha wings upon which natural selection could act towards the mimicry pattern. Quite the opposite – the males of P.Pyrrha have left or receded from the common pattern in the mimicry ring – despite the supposed unified pressure of natural selection. He refers to Eimer observation that females in Pieridae are often colored whereas males are not – Pieris brassicae, Harpaenia eriphia and others. Perrhybris. Heikertinger quotes Dixey according to whom the transition goes from males of P.locusta. 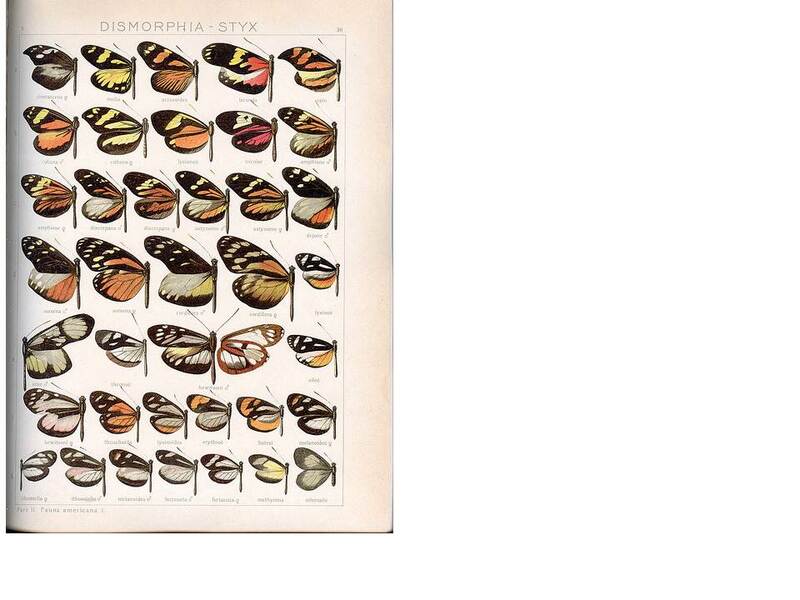 P.phaloe, P.lypera, P.lorena to P.pyrrha (some of them by red arrow). Those forms make a connection but there is nothing that could resemble Ithomiinae and consequently to be of a selective value upon which selection could have acted. This is a point which Heikertinger often addresses. 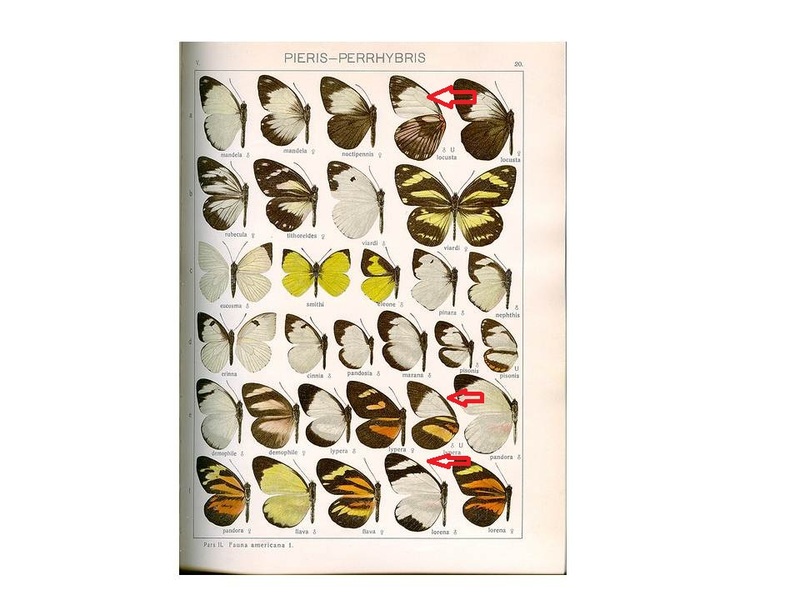 He recommends to readers to open an atlas of butterflies and compare related species. 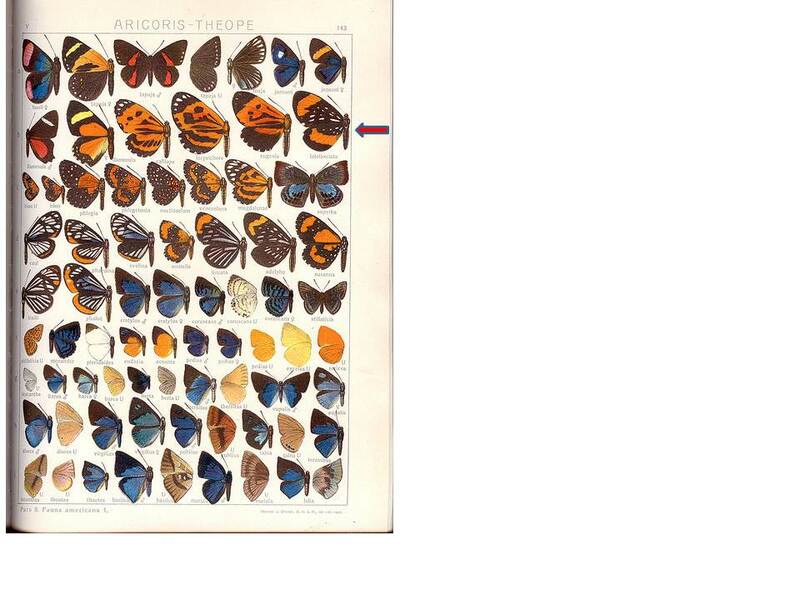 There is an abundance of varicolored butterflies in each taxa. Heikertinger claims that picking up just one species from a series doesn’t make case for natural selection. A resemblance can be explained by Vavilov’s homologous sequences as well. 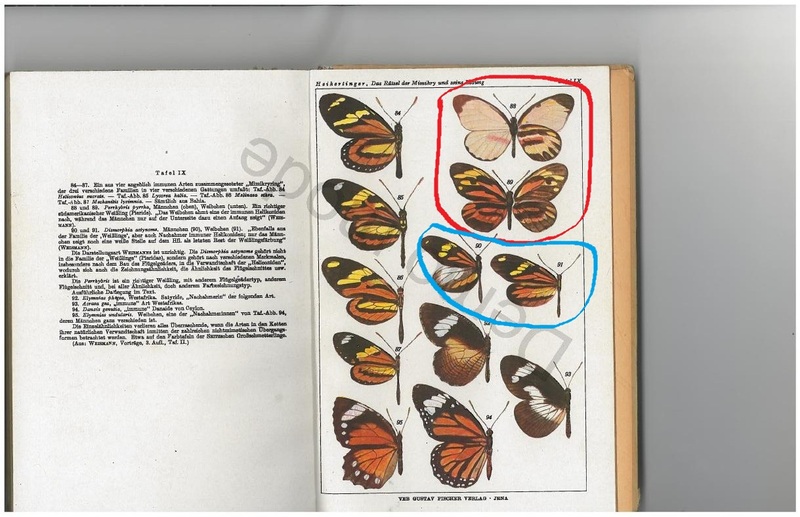 In the case of the tiger mimicry ring he recommends to open Seitz’s Butterfly atlas volume V and see that the mimicry pattern is actually recurring in many variants across many taxa. 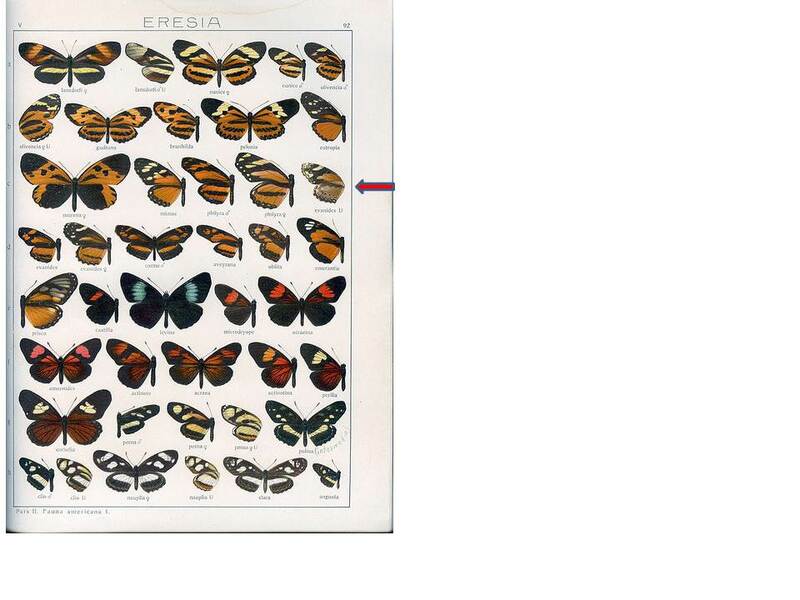 According to Heikertinger the coloration and pattern types on insects are often recurring phenomena. The resemblance repeats. Why there should be a different explanation for some arbitrary chosen resemblances than for thousands of other patterns and coloration? Similar to above, it is very hard to locate many sources about these experiments. Stuff like this has been ignored sadly whilst most of the attention by the scientific community goes to the flawed and over-hyped natural selection scenario. Adaptation and Evolution by Thomas Hunt Morgan an early anti-Darwinian geneticist. In the preface to the book, Morgan admits that Darwinism is a dogma. I have just been reading a book by Brian Leith called “The Descent of Darwin: A Handbook of Doubts about Darwinism”. I brought an old booklet entitled “Evolution” by Ernest MacBride (1927). As far as I can see this booklet is quite rare and does not appear anywhere on the internet. “A very popular idea is that Darwin has completely explained evolution and that the hypotheses of “natural selection” and “sexual selection” successfully account for all the varied peculiarities of structure and function which we see around us. A little critical consideration will, we think, convince our readers that, so far from this being the case, Darwin’s theory is in reality no explanation at all, but one great and striking instance of the common illusion of what one of our best contemporary philosophers calls “reification” of words – i.e., the conversion of mere general terms into imaginary things. That every species does in reality produce far more young than can survive is open to no possible kind of doubt. One simple instance of this will suffice. The common thrush lives on an average ten years. It begins to breed at the age of one year, and produces every summer two broods of nestlings, each consisting of four young. In the course of their lives, therefore, a single pair of thrushes bring into the world eighty young, and some of these may be breeding for nine years before the parents die. Since the whole population of thrushes remains about the same from generation to generation, it is obvious that only two of this vast army of children, grandchildren, and great grandchildren can survive their parents; all the rest come to an untimely end. But to put the matter in a nutshell, the fact that James is killed can make no difference to the structure of Tom. MacBride was an Irish marine biologist and zoologist. I look forward to checking out his other books. He was a supporter of Lamarckian evolution. Fleeming Jenkin wrote a critical review The Origin of Species in 1867. “The Darwinian Theory of the Transmutation of Species” by Robert Mackenzie Beverley. The entire book is a criticism of Darwinism. This is a rare book that seems to have been totally forgotten about. This website must have got stuck in 1914.